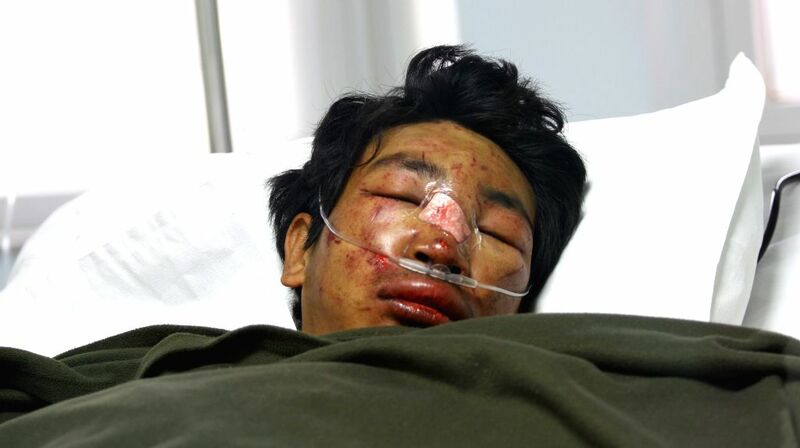 KATHMANDU, April 18, 2014 - An injured climber from the avalanche, is seen under treatment at Grandi International Hospital in Kathmandu, Nepal, April 18, 2014. An avalanche hit Khubuche area near Camp 1 of Mount Qomolangma, also known as Everest, at around 5:30 a.m. local time. Doctors wait for the arrival of the injured people from the avalanche near the helipad at Grandi International Hospital in Kathmandu, Nepal, April 18, 2014.